Guarding the Bris is the source of the blessings . A person that is Shomer Habris can recieve healing through reguler food instead of medications. Every single herb and grass has a unique power to cure some specific illness. All this is only needed for a person that does not have strong faith in Hashem, is not Shomer Habris and other people are degraded in his eyes. However someone that has complete faith, is Shomer Habris and never degrades others, does not need this. His healing is not dependent on specific herbs. He can be cured through any type of food and drink and does not have to wait until the specific herbs are attained . It has also has other health related benefits and more holy a person is the more he is distanced from sleep . Likewise, repentance lengthens the days and years of a person . A person that does not desecrate his Bris, through this he has good memory . Shmiras Habris gives a person the ability to pray and a person that is Shomer Habris merits prayer. The opposite is also true and a person that is Pogem Habris has his ability to pray taken away from him . When a person repents with all his heart, Hashem starts paying attention to his desires and requests . Shmiras habris brings understanding to all parts of Torah. A person then merits to learn and understand all section of the Torah that he studies and all the wisdoms are revealed to him like a set table . Additionally those that are Shomer HaBris will merit to understand the seventy languages that are hidden in the Torah . One who controls his evil inclination, his children will not go off in a bad direction . Additionally a person that does not look at woman, merits that his descendents will compile commentaries on the Torah . When a person is placed in a test, he should know that if he is victorious and passes the test, Hashem will perform a miracle for him , since any person who has an opportunity to commit a sin and does not do so, therby passing the test, they perform a miracle for him , . A person that closes his eyes from thing bad things, through this he will be saved from humiliation . 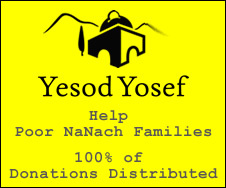 Through Teshuva livelihood comes easily . One who controls his evil inclination, his wealth becomes blessed  and a person who withstands a test of Niuf will merit enormous wealth amongst his enemies . Modesty is auspicious for wealth  and through a person's Tznius they give him back all the good that someone else took away from him through prayers . A person that is Shomer HaBris is permitted to be happy when he sees the fall of his enemies. A person that is Shomer HaBris, even though he does not have any merit from his forefathers, Hashem creates merit for him . One who controls his evil inclination, will not be subjected to any tests  and through repentance the great lust becomes nullified . When a person stops himself from committing sins and tries to attain forgiveness for the past, this causes that he will not sin even in his mind. A person that does Teshuva with all his heart, Hashem gives him a heart to know Him . A person that guards his Bris will for sure like the Tzadik . A person that is modest in the restroom will have dreams that will be settled on him . Repentance brings close the Final Redemption  and causes the spirit of Moshiach to blow on the decrees of the nations, nullifying them .